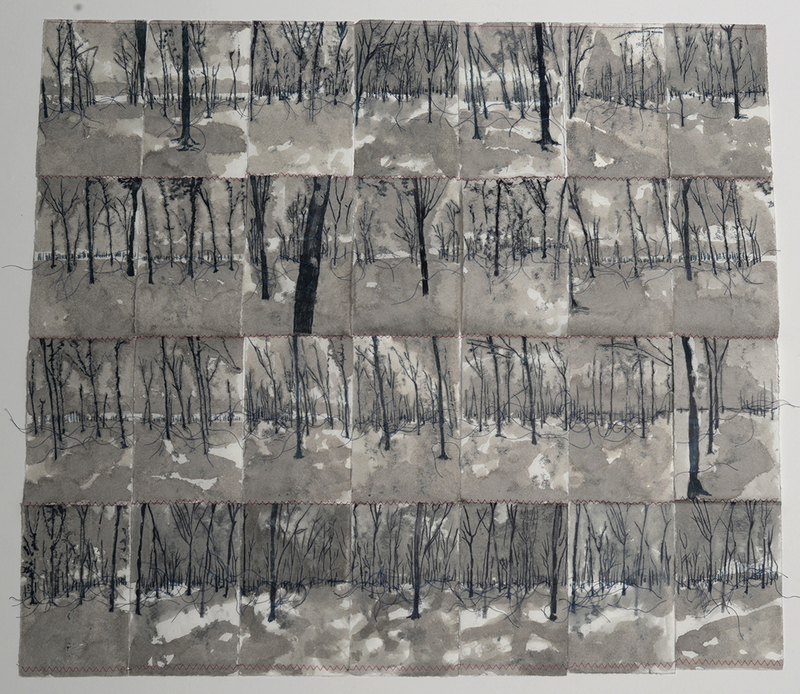 Tree-scapes is a series of work inspired by woodland and its real and imagined narratives. 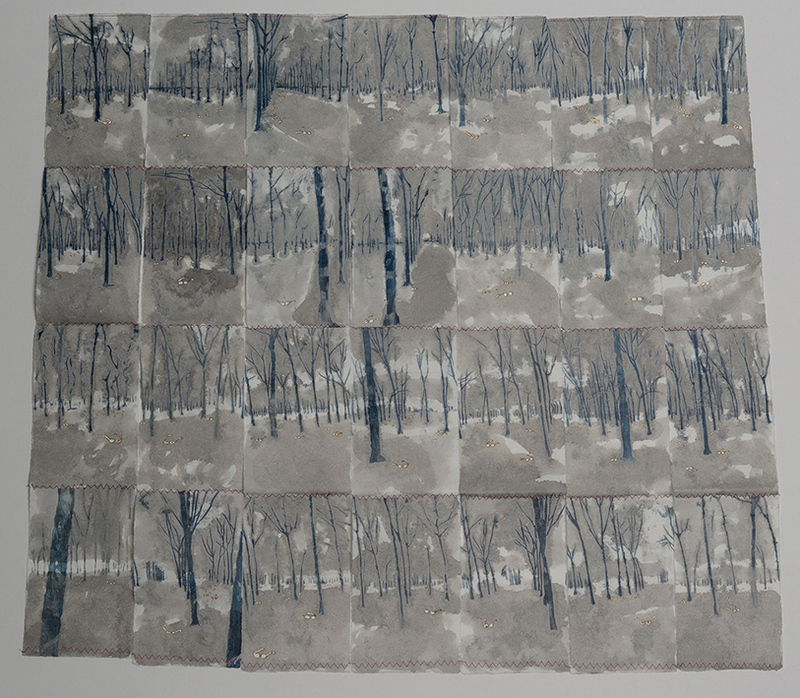 They include “Blue Scarves” and “Des Lunettes”, two large (80cmx65cm) mixed media pieces each made from 28 monotype, inkwash, stitch, pyrography (Des Lunettes). These works are a contemplation on Cambodia’s recent genocide from 1976-1979 which saw over 2 million peoples killed – among those particularly singled out were people wearing glasses (des lunettes) or blue and white checked scarves (a symbol of the Eastern province – considered to be more Vietnamese than Cambodian). “Tree-scape New South Wales I” and “Tree-scape New South Wales II” are based on a nature reserve in Northern Sydney.